Working parents know the struggle is real. How do you perform at your peak at work and still be a present parent at home? Ellison is an organizational development consultant and executive coach specializing in work-life synergy. 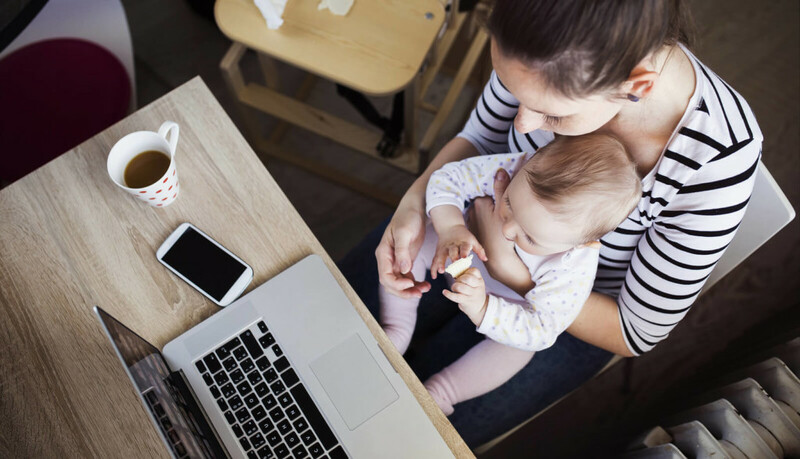 A long-time supporter of 1 Million for Work Flexibility, Ellison participated in the 1MFWF webinar: “What/Why Parents Need to Know About Work Flexibility.” Walker is a brand specialist, connecting brands with consumers. “Taking the Lead” was recorded over the course of two years, and documents both Ellison’s and Walker’s struggles with combining their passion for work with their passion for parenting. Their goal is to launch “Need/Done”, a digital tool designed to aid parents in completing chores and checking items off of a never-ending to-do list. The first episode of the series, “The Pain Point” introduces the audience to Ellison and Walker as they create “Need/Done” and take it to Silicon Valley to see how working mothers can thrive in a tech world—or not. “Note to Self” host Manoush Zomorodi and fellow working parents share their own struggles with work-life balance. In the second episode, “The Paradox”, the mompreneurs struggle with their own roles within their relationships. Walker, whose husband is the primary caregiver, can dedicate 70+ hour workweeks, while Ellison wonders if she can be the type of parent she wants to be and launch a company at the same time. The question arises: can they rewrite traditional societal rules and be successful female entrepreneurs in the primarily male-driven tech world, too? In “The Pressure”, the third episode in the series, Walker and Ellison have tough decisions to make, both financially and personally. Children’s college funds are borrowed from, and the duo have to decide what type of investor really makes sense for their company. Is the focus on making money, or creating a service for the betterment of society? And most importantly, can they get bottom-line-focused investors to understand that? Working parents who are looking to take the lead in their own lives should also check out this list of work/life balance resources from “Taking the Lead” that can offer support and provide additional information. Note to Self is available on wnyc.org, iTunes, and all other places where podcasts may be downloaded. Jennifer great for you, I look forward to having that same type of testimony one day! I am currently working full-time, single mother of three wonderful boys, and fighting Lupus. So this is motivation for me to truly live life!